Learn about arranging chord-melody solos using the entire ukulele fretboard, and have fun playing solos of well-known songs like "When the Saints Go Marching In" and "The Star-Spangled Banner." Techniques like triplet strums, bursts, split strums, and fan strokes are introduced. Explore musical styles such as old school, ragtime, Hawaiian, fingerstyle, and rock---and learn rhythms from around the world. Have fun rocking, getting funky, and improvising over jazz progressions. 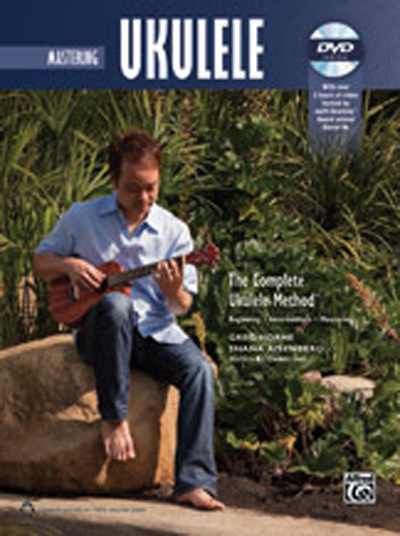 Any ukulele player, no matter how advanced, will improve their playing with this book and DVD featuring ukulele star Daniel Ho.